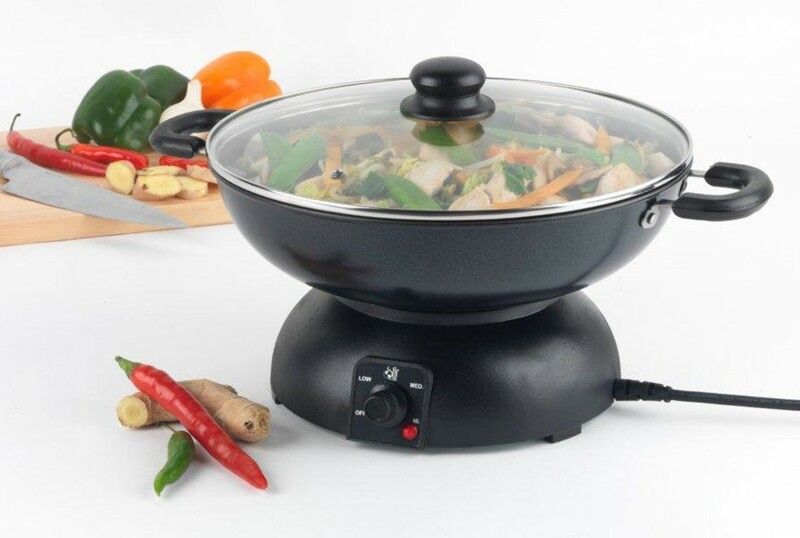 ​Do you want to get an electric wok but don’t have any clue about buying one or which one you should get? If you do, don’t fret because you’ve come to the right place. 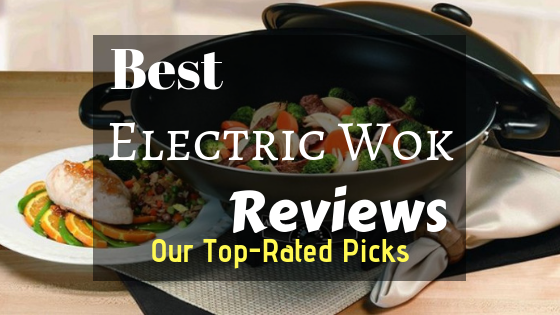 Simply read on and find out about all the things you need to know on finding the best electric wok online. Before we get into the best woks you can find in the online market today, let us first discuss what a wok actually is. A wok is a cooking utensil similar to a large pan. If you have watched your fair share of Asian cooking shows or any Asian movie about cooking, you may have noticed the big round and deep pan that they often use to cook stir-fried dishes. Woks have been around for centuries since its invention in ancient China. Up until today, it has become the go-to cooking utensil in most Asian countries for anything stir-fried, roasting tea, and cooking noodles. Woks did not become widely used in Asia for its sheer style. Many professional cooks prefer to use woks because of its great heat conduction properties. Woks were initially created to withstand high cooking temperatures, making it ideal for stir-frying all sorts of meats and vegetables. Unlike other cooking utensils such as a skillet or a pan, the food can easily get burnt or cooked unevenly once subjected to high heat. The wok on the other hand was designed like a large bowl, making the heat distribution fall evenly on every piece of food you cook as you stir while frying. Some Chinese chefs even say that the rounded bottom of a wok makes a special aroma called “wok-air” to form inside the wok. We are here to help you find the perfect wok for you. Learn more about each product in this article. To properly cook meat and vegetables using a wok, you should first place your wok over an open stove. Once your wok is hot enough, you can start adding your cooking oil and the rest of your ingredients. Upon adding all of your ingredients, you must continuously stir all the food you put inside your pot to evenly cook your food and to seal in all of the ingredient flavors as well. Aside from stir-frying, a wok is also a great cooking utensil for steaming, smoking, deep frying, and making soups, sauces, and stews, making this a great all-around cooking tool. Though a traditional wok may seem like an interesting addition to your kitchen, it is not really a practical choice. Sure traditional woks have worked great for the past centuries, but with today’s current cooking ﻿﻿stoves, the traditional wok’s rounded bottom might just not work. 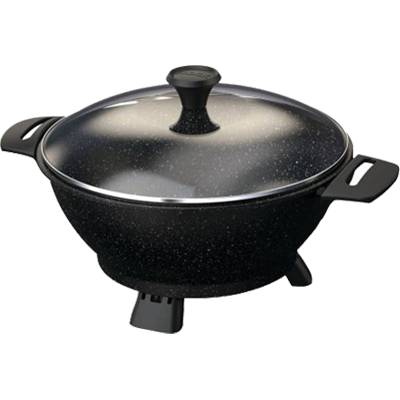 Electrical woks on the other hand, possess the same rounded interior shape that the traditional wok has, but with a more stable base, that makes it perfect for most kitchens today. Another advantage electrical woks have over traditional ones is that you don’t have to use plenty of oil since the food gets completely covered in hot oil as you stir it in the wok. One more thing I like best about electric woks is that they can reach high cooking temperatures really fast, even when you are cooking a lot of ingredients. Needless to say, an electric wok is the perfect cooking utensil if you are looking for versatility, speed, and even cooking. When purchasing an electric wok, you may want to check out the ones made with durable materials covered with a non-stick coating. Though most woks are made of carbon steel without non-stick coatings, you can find ones made with non-stick heavy-duty Teflon if you look hard enough. These types are the best since they are very easy to clean and maintain. As you may have noticed, traditional woks have wide mouths that flares out on all its sides. 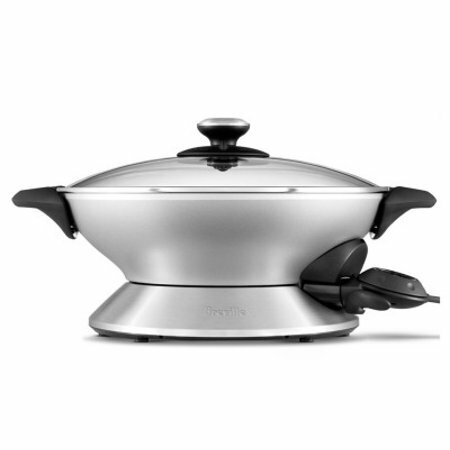 It would be wise to choose an electric wok with a similar design. Getting a wok with a wide mouth will enable you to cook lots of food with less mess since you have enough space to mix everything inside the wok. Also look out for woks that come with a deep and rounded interior. Heat setting is a vital factor to consider when choosing an electric wok. When choosing an electric wok, make sure you get one with completely accurate heat settings, so you can achieve your preferred temperatures efficiently and accurately. If you’re like most home cooks, I’m sure you don’t like spending too much time cleaning utensils in the kitchen. To make clean ups easier after cooking, choose electric woks made with non-stick materials, and ones that can be separated from the power source so that it can be placed in the dishwasher. 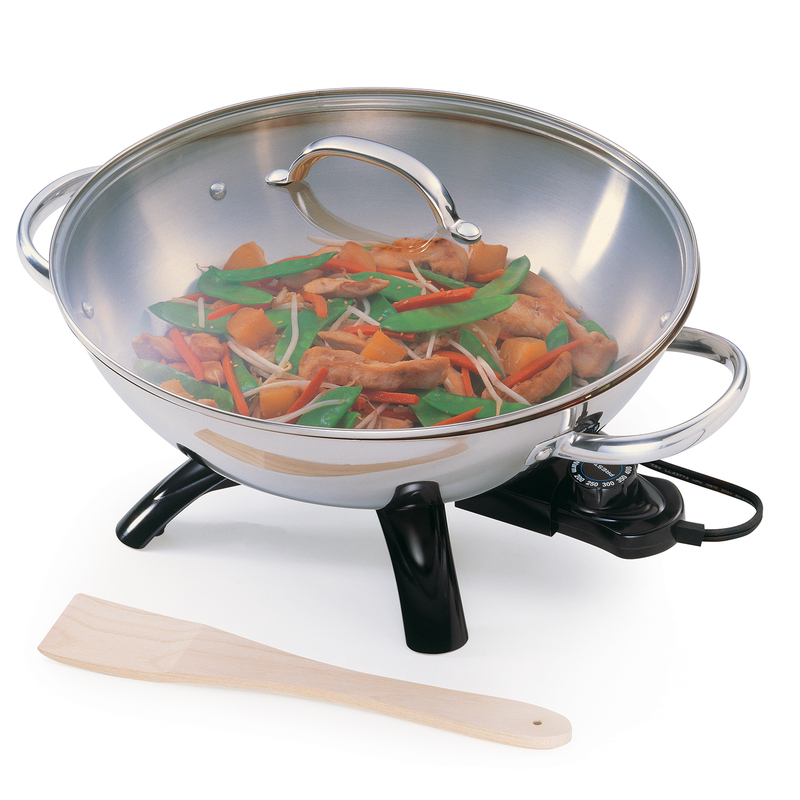 One of the most durable electric woks you can find today is the Presto Stainless-Steel electrical wok. It is made out of durable stainless steel. It’s great for cooking large family meals since it comes with a 17-inch diameter mouth and is powered by a 1500-watt heating motor. It also comes with a lid that is completely clear, great for constant food checking because you wouldn’t have to lift the lid and let off the heat whenever you check your food. Perhaps the only downside to this product is that it doesn’t come with a non-stick coating, therefore making it difficult to clean despite being dishwasher safe. This is arguably the best Aroma Houseware electric wok you can find because of its 5-quart capacity backed up by materials that heat up really quick and locks in the heat as you cook. One great feature of this product is its adjustable vent that allows steam to get out of the wok, thereby regulating the heat inside it, and reducing the water vapor that can drop back on your food. What’s more is that its lid is completely clear, making it a very efficient cooking utensil because you no longer have to lift the lid up to check your food’s condition. Another great thing about this product is that it comes with several accessories such as cooking chopsticks, a tempura rack, and a handy steam rack. Comes with accessories including cooking chopsticks, a tempura rack, and a steam rack. Breville is a brand that has earned quite a good reputation in the cooking industry because of their quality cooking products. 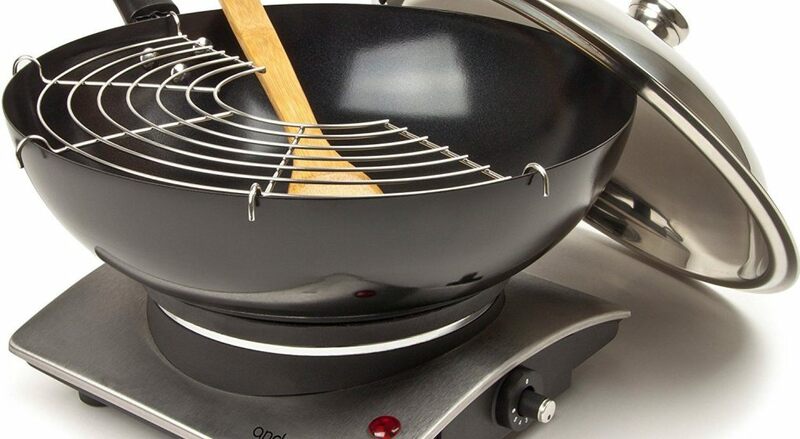 The Breville Hot Wok is one product you can certainly rely on because of its durable aluminum properties. It also comes with a 6-quart capacity with a 14-inch diameter mouth, great for cooking bigger portions of food. It is powered by a 1500-watt butterfly motor that is completely responsive to its aluminum materials. It comes with 15 heat settings that you can use to stir-fry, steam, smoke, and deep fry. You can even use it to cook large chunks of meat evenly since it’s highest temperature setting can be set up to 425 degrees Fahrenheit. Its high temperature setting also makes it great for sautéing foods because it helps lock in the moisture and flavors of the ingredients. This all-around electric pot is a wonderful addition to your kitchen if only for its multiple uses. It’s more than just a wok. It can be used to cook a variety of dishes that require different cooking styles. One of the things that set this apart from other electric woks is its comparatively thicker base that keeps food warm for a longer period of time. You can serve food directly on this wok and have your guests enjoying food that feels and tastes like it just came out of the kitchen. 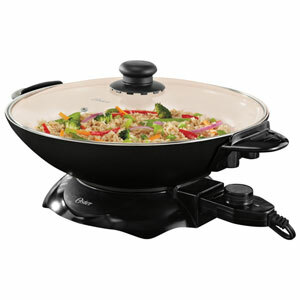 The capacity of this wok is just right for everyday cooking but can also be relied on for bigger cooking needs. So, whether you are sautéing food or cooking soups and stews, you will find this electric wok a force to be reckoned with. This stylish pot gets many of your cooking needs done. It is more than just a wok, it can be used as a pan or a hot pot as well. You basically don’t need anything else if you have this, so you can free up more space in your kitchen and you don’t have to spend so much buying different kinds of cooking tools. This electric cooking tool is simple to use and doesn’t require too much work to set-up. Its 1500 watts of power with different heat settings allow you to cook even the most complex of dishes. You can do different cooking method such as steam, boil, fry and even bake. No other electric wok has a baking capacity. All of these are ideal choices but which one you should buy will depend on your needs. 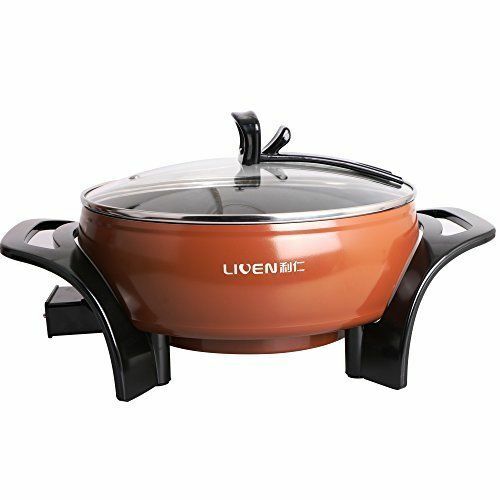 The Liven Middle Size Electric Skillet, Electric Pan, Electric Hot pot, Cast Aluminum Pot Body is the perfect option for those who are looking for multi-purpose electric woks that can do a variety of jobs but don’t want to spend so much money on just one tool. The Starfrit 024404-002-0000 Electric Multi-Pot has basically the same features and benefits as the previous brand but has a higher price tag. Both these woks are great for people looking for an all-around, versatile option for various cooking purposes. 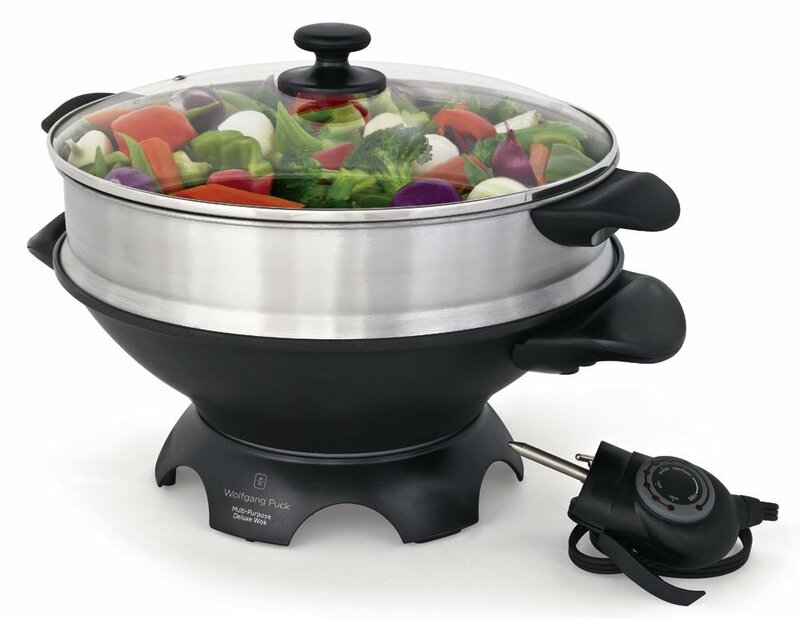 The Aroma Housewares AEW-306 5-Quart Electric Wok and Presto 5900 1500-Watt Stainless-Steel Electric Wok have a mid-range price, but they won’t fail you when it comes to quality. They are great for those looking for a mix of quality and good price range. It doesn't matter if you are shopping on budget or not, getting the best electric wok like the Presto 5900 1500-Watt Stainless-Steel Electric Wok means getting value for your every dollar. 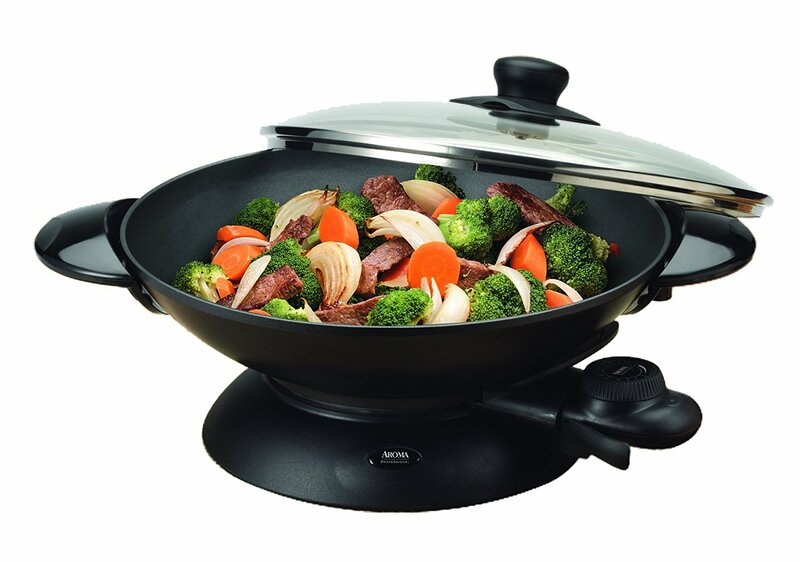 For a more professional choice, pick the Breville BEW600XL Hot Wok. Its durability and quality features can’t be beaten. If you are looking for more kitchen tools to add to your home, go ahead and check out our homepage. We may have some product reviews, recommendations and buying guides that you will find helpful.